The Design-Build Transient Student Quarters project provides 75,102 sq. 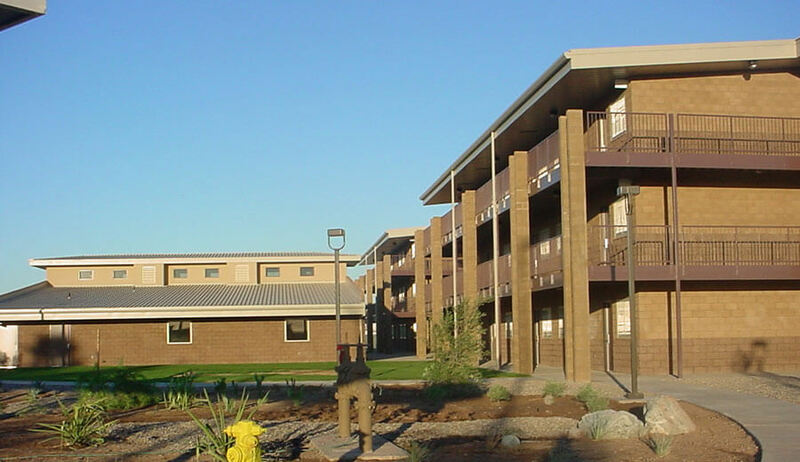 ft. of new military housing for 320 enlisted personnel in 80 two-room modules. 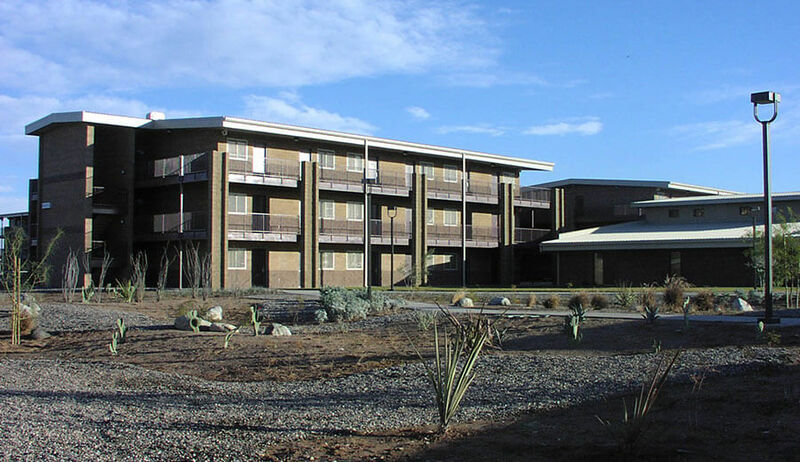 The facility is a three-story masonry, T-shaped building with three wings of residential units accessed via exterior balconies in a motel-style. A fourth wing accommodates a common-use assembly area, a kitchen, and an exercise room. 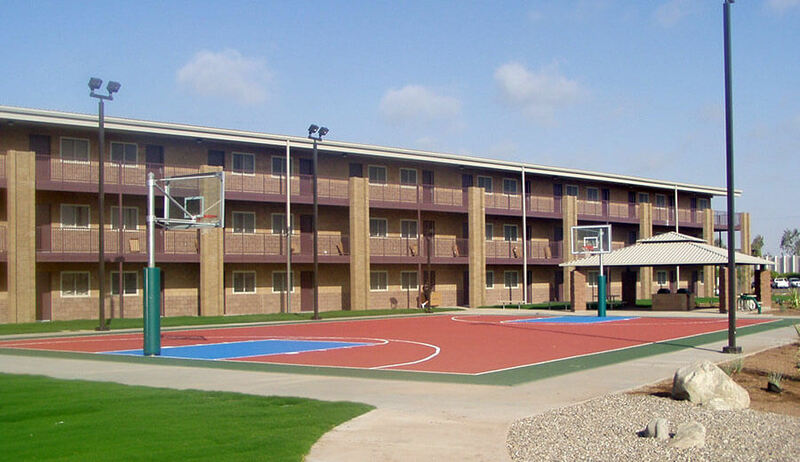 A mechanical equipment room, and basketball, volleyball and tennis facilities complete the complex. 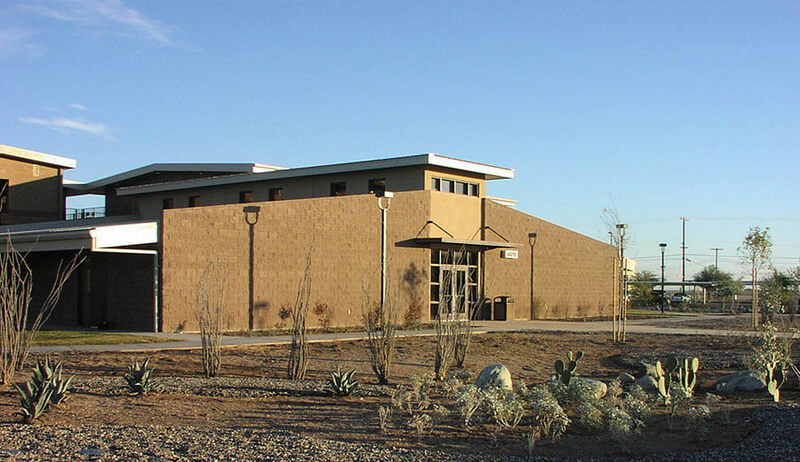 The facility takes advantage of the prevalent desert sunshine, and uses solar panels on top of a standing seam metal roof to maximize energy efficiency. The structure includes full fire, security, data and communications systems. The facility complies with all Anti-Terrorism Force Protection (AT/FP) requirements including proper set-back distances, blast protection and progressive collapse features. Due to the existence of saturated soils caused by irrigation of nearby farm fields, the building foundation sits atop a geomat pad with 18” of gravel.